Most famous for sorrel soup. 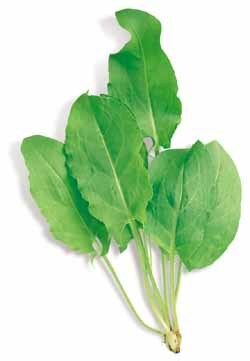 Large, succulent, slightly acid-tasting leaves give zest to salads and any dish which is insipid in itself. Remove flowering tops as they appear to keep leaves tender. Blonde de Lyon is the standard variety esteemed in France.